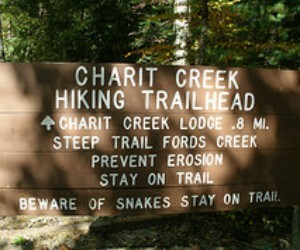 Charit Creek Lodge, located deep in the Big South Fork National River and Recreation Area, is only accessible by horseback, foot or mountain bike. Well-maintained hiking and horse trails lead you through interesting and beautiful places on your way to the lodge. Located where Charit Creek and Station Camp Creek meet, the lodge rests in a beautiful pasture framed by magnificent bluffs. 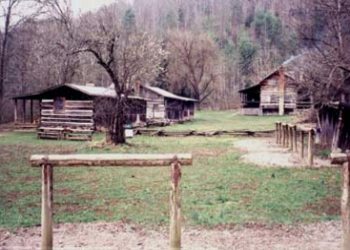 This valley has given shelter to travelers in the Big South Fork since the Indian hunting camps. A white hunter, Jonathan Blevins, built the first cabin here in 1817. His log structure still stands as part of the lodge. 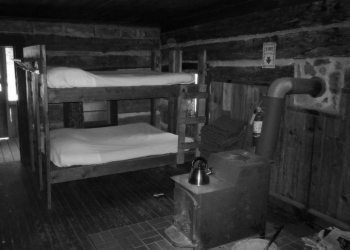 Operated as a youth hostel from 1987 until mid 1989, management of the Charit Creek property was awarded to the operators of LeConte Lodge, a renowned wilderness accommodation in the Great Smoky Mountains National Park. The proprietors, Stokely Hospitality Enterprises, under the management of Tim and Lisa Line, have transformed the hostel into a full-service accommodation, while preserving its rustic integrity. Let the pleasure you get from the wilderness continue long after the sun goes down. Charit Creek Lodge offers congenial accommodations and hearty meals without disturbing the nature you've come to enjoy. After a true country dinner, sit back in your front porch rocker and see a sky full of stars, listen to the stream, and watch the firefly displays; no hum of machinery or bright electric lights to interfere. Each morning wake to the smell of fresh coffee on the stove.